A man who neighbors said could usually be found drinking on his patio was shot and killed Sunday night by Boulder City Police outside his apartment at 841 Avenue A near Cottonwood Street. It was the city’s first officer-involved shooting in nearly a decade. According to Sgt. Aaron Johnson, police responded to a “shots fired” call about 10:30 p.m. Sunday, where police encountered a man standing outside his apartment. Johnson said that officers told the man, who the Clark County coroner’s office identified as 54-year-old John Allen, to show them his hands. Allen did not obey police orders and went inside his apartment before returning with a pistol and firing at the officers, police said. Two officers returned fire and shot Allen twice, Johnson said. According to Police Chief Bill Conger, four officers were on scene. Allen was then airlifted to University Medical Center where he died, Johnson said. Neither of the two officers who returned fire was hit, and both are on paid administrative leave, Conger said. The officers have been identified as Alan Nutzman, 43, who has been with the department since June 2005, and Armando Salazar, 38, who has been with the department since September 2008. Both are assigned to the patrol division. Kris Fidler was inside his apartment about 50 feet away from Allen’s unit when he heard the gunshots. Fidler, who moved to Boulder City from Southern California a year and a half ago, said he did not expect to see any shootings when he moved to town. Fidler said he had only seen Allen a few times before the shooting. He said he would normally see Allen drinking and smoking outside on his patio. Fidler said he thought the original police call was for a domestic dispute because of a previous incident between Allen and a woman he said Allen was living with. Police said the call they received was not a domestic disturbance call. According to Boulder Township Constable Steve Hampe, Allen was in the process of being evicted for not paying his rent. Pedro Fonteboa, who lives in the same apartment complex, said he spoke with Allen at least three times a week. Fonteboa said Allen had lived in the apartment for about 11 years, and had recently run into financial problems. He was also having arguments with a woman he lived with, Fonteboa said. Like Fidler, Fonteboa also said he would normally see Allen drinking on his patio. Fidler said he still can’t believe an officer-involved shooting took place so close to his home, a place where he never expected one to happen. “I’m sure it’s the talk of the town right now,” he said. 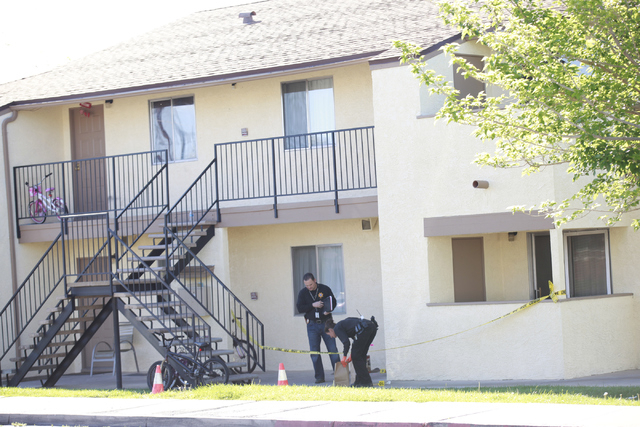 Sunday’s officer-involved shooting was Boulder City’s first since September 2005, when police shot and killed 32-year-old Jeffrey Martindale after he fired at officers Mike Barth and Mike Daniels during a routine traffic stop at the corner of Nevada Way and Cherry Street. Martindale, a white supremacist on the run from an attempted murder charge, was shot three times. 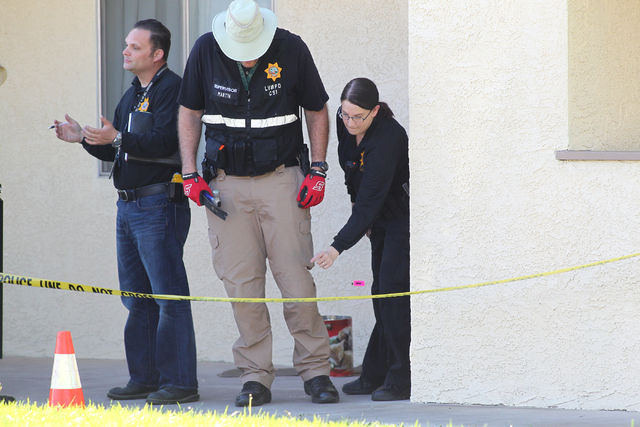 Contact reporter Steven Slivka at sslivka@bouldercityreview.com or at 702-586-9401.